Restrooms and locker rooms. Kitchen and food preparation areas. Medical equipment. 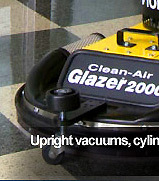 For chemical-free applications and detail cleaning, the DE 4002 adds the power of steam to your cleaning and maintenance arsenal. A large steam tank and refillable reserve tank are housed within the DE 4002. This two-tank system permits continuous operation by permitting the addition of water during use(funnel included). The compact mobile unit has an insulated aluminum boiler that generates 248 ° F steam at infinitely variable levels-right up to a jet of hot water, enabling the user to rinse off dirt and residue. Safety features include calcification monitoring, steam pressure auto shut-off, and a safety cap with pressure relief valve. 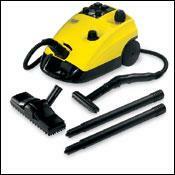 Add optional tools and accessories for virtually any detail cleaning requirement.